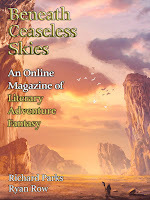 "In Memory of Jianhong, Snake-Devil," by Richard Parks [bio] (edited by Scott H. Andrews), appeared in Beneath Ceaseless Skies issue 226, published on May 18, 2017. Pro: The plot is sophisticated; everyone has an agenda, and everyone achieves part of it. Pan Bao eliminates the problem and earns his fee. As a bonus, he even gets a tutor for his daughter. Jing gets answers to some of her questions and a tutor we’re sure will be more cooperative than her father. Mei Li gets her wish of people who’ll help her try to be human. Jianhong wanted his name to be remembered forever, and they’ve tricked the governor into helping with that. The story does a great job of developing all three characters. Pan Bao’s obsessive secrecy and simple selfishness, Jing’s impatience and frustration, and Mei Li’s loyalty all come through consistently. As a result, we're very satisfied with the conclusion; it has something for everyone, and we like them all by that point. Con: Nothing large is accomplished in this story. 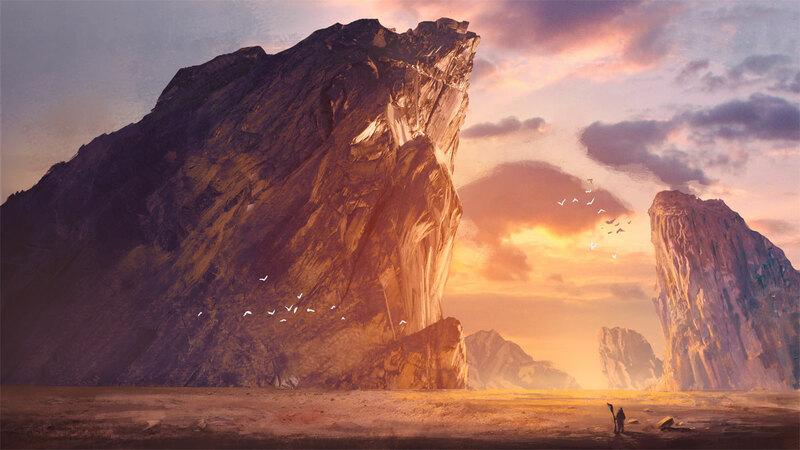 It’s almost like the setup for a sequence of adventures. Enjoyed the banter between all three characters (including the comments Jing kept to herself). Glad to see it is the start of a series.